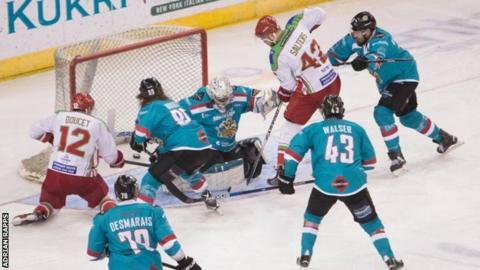 Cardiff Devils lost 6-1 away to Nottingham Panthers in the Elite League, less than 48 hours before playing the same opposition in the Challenge Cup final. Panthers kept alive their title hopes and closed the gap on leaders Devils to four points. Two goals from Matthew Myers put Panthers in control before Joey Martin replied. Franklin MacDonald, Geoff Waugh and Evan Mosey's two goals secured the win. The sides meet again in the Challenge Cup final at the Sheffield Arena on Sunday.